Text messaging is paving the way for emergent retail strategies, and it’s at the forefront of retail marketing. SMS is a big deal and retail providers are pushing its potency in the marketing world. Just because SMS is primarily used for text doesn’t mean mobile marketers are hindered. Consumers want instant gratification. 2016’s buyers want instant offers, and they’re willing to cross multiple marketing channels to get them. 70 percent of mobile-initiated searches result in action within 60 minutes. A majority of consumers are using QR codes to find discounts, too, and they’re opting for text-message- based QR offers. For this reason, text messaging is invaluable to a retail outlet providing competitive discount options. Check out how Express Jeans use QR code, plus a mobile call-to- action to drive traffic to a specific product page. 90 percent of smartphone users enrolled in SMS loyalty clubs feel they’ve benefited from the interaction. Today's retail providers can’t exist without long-term engagement plans. They simply can’t keep up with fast-paced consumer populations. Business providers are upping the ante, creating structured SMS deals and using real-time senders to blast buyers with loyalty rewards. SMS loyalty programs, due to their incredibly customisable design, are at the forefront of retail marketing technology, and they’ll be the cornerstone of the future’s consumer engagement platforms. 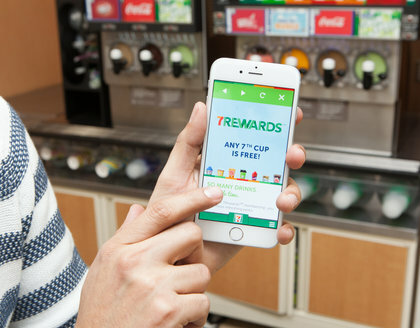 7-Eleven is another big name that jumped on the mobile loyalty marketing train. SMS works on both sides of the retail counter, too. Retail providers are utilizing text message marketing mechanics to study potential hires, scope out the competition and craft amazing sales teams. Automated SMS, when implemented as a team building tool, can unify the sales floor. Additionally, it can scope out future employees with pinpoint data accuracy. Mobile marketing platforms are incredibly effective data-gathering utilities, and retail outlets are crafting powerful groups fuelled by texts. Speaking of the sales floor, 2016’s retailers are nurturing leads with short code texts. In the future, much of the retail world’s hits will be mobile-centric. Matching a prospect’s needs to business provisions is important, and industry decision makers are reworking the way potential buyers are gathered. Simply shooting out three short code texts can boost conversions by approximately 328 percent. The future of retail relies on delicate promotion processes and ironclad sales funnels. 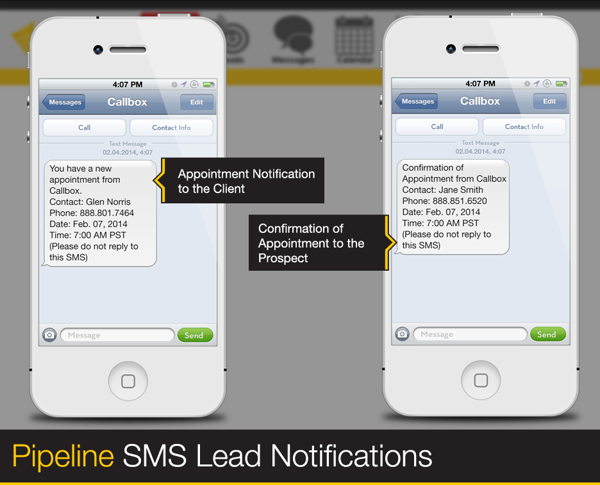 For this reason, providers using texts to gather new leads are winning. Because much of SMS marketing’s processes are automated, retail providers are hitting segmented buyers hard. The days of spam texting are over, however, and each customer is treated with care. Automated SMS senders utilize data to be incredibly relevant. Modern text conversation is personal, and it’s highly conducive to big-scale content marketing strategies. Retail providers are introducing themselves to new newsletter subscribers, in-store buyers, social media gurus and old customers with SMS. One of the business world’s best options already, SMS will be irreplaceable within the next few years. Retail providers are lining up, and industry pros are replacing email marketing campaigns with SMS. As the industry grows, it’ll become contingent upon text messages. Is your business equipped to handle the change? How do you ensure that your customer is getting the best mobile experience possible when interacting with your brand? Make sure to share them with us in the comments below! Sophorn Chhay is the marketing guy at Trumpia, SMS software with mass text messaging, smart targeting and automation. ● Jumpstart your business by grabbing your free copy of his powerful Mobile Marketing Success Kit. ● Watch Trumpia's 5-Minute Demo on how to execute an effective mobile marketing strategy.